New Orleans #1 Swimming Pool Renovation company. We strictly specialize in residential and commercial swimming pool renovations to existing pools. Our services include plaster, tile coping, exotic stone, water feature walls, LED lighting, lighted water walls, Travertine and pave stone decking. Our company has renovated over 3000 swimming pools in the last 30 years. Louisiana State Commercial Contractors license #55420 with Specialty: Swimming Pools and Installation of interlocking pavement systems. We service a 100 mile radius of New Orleans. We DO NOT install pool liners and we DO NOT work on Fiberglass Pools. Paradise Pools and Spas Inc.
We believe that there is nothing more magical and captivating than the sounds and sensations of water. Whether it is a day spent playing with family and friends, time unwinding after work, or time spent just the two of you. Let us show you how to build our version of Paradise not only into your own backyard but into your life! 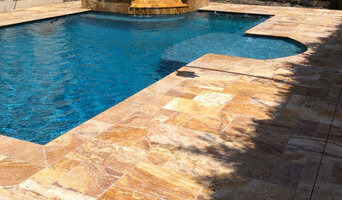 La Pools And Spas, Inc.
Building the highest quality custom in ground pools. Design and build custom unite swimming pools. At Kimbrough's Inc. Pool & Spa Builders, our Kenner pools are designed to be attractive, easy to use, and most importantly, fun. We take pride in our work and hope that you will enjoy it as well. There are few things quite so rewarding as enjoying a swimming pool or hot tub at the end of the day. However, many people are naturally concerned about the price involved in swimming pool and hot tub installation services. 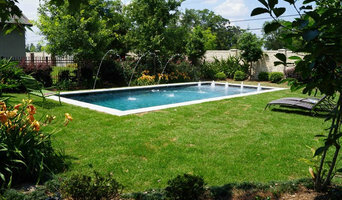 Abadie Pools of New Orleans is here to help you complete your installation in New Orleans as quickly as possible at a price you can afford. We strive to ensure our customers receive the best service we can provide regardless of what they're specific needs may be. We offer a number of services, including: Pool maintenance Pool cleaning Inground pool installation Pool repair If you've always wanted to have a pool or hot tub in your home in New Orleans, LA, there's no need for you to wait any longer. Abadie Pools of New Orleans is a premier swimming pool and hot tub installation service ready to help you improve the appearance and comfort of your home. Call us at your earliest convenience to schedule an appointment so that you can start enjoying your new personal oasis as soon as possible. Of course, we don’t all have the room, money or climate for our own swimming pool, but hot tub prices are usually less than swimming pools' and are a more compact, weather-enduring option, too. With New Orleans, LA hot tub suppliers available on Houzz, you can compare prices, photos of hot tub installations, reviews, recommendations and ratings from previous clients. How will New Orleans, LA hot tub and swimming pool builders install my pool/hot tub? While the hard part may be over, there’s still quite a bit to do after your hot tub or swimming pool installation. Swimming pool maintenance is important if you want to keep your pool clean, hygienic and looking its best. Hot tubs are even more important to keep clean because warm water is more susceptible to bacteria, so you should make sure you are always thorough with your maintenance regime. To be on the safe side, you can also find hot tub and swimming pool maintenance professionals on Houzz that will service your pool or hot tub for you, supply you with hot tub parts or swimming pool equipment should anything need fixing, and actually repair your pool or tub. Here are some related professionals and vendors to complement the work of swimming pool & hot tub maintenance: . 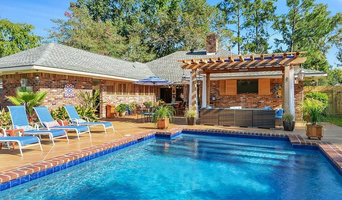 Do you want your New Orleans, LA swimming pool builders or hot tub suppliers to help you with maintenance and repairs? Find swimming pool builders or specialists on Houzz. Narrow your search in the Professionals section of the website to New Orleans, LA swimming pool builder or hot tub supplier. 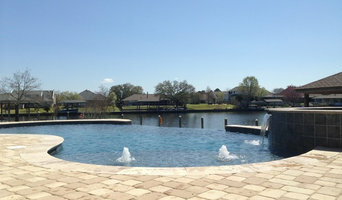 You can also look through New Orleans, LA photos by style to find a swimming pool installation or hot tub installation you like, then contact the specialist or builder who designed it.